Lakers Rumors: Could Pat Riley Have Saved The Kobe-Shaq Relationship In 2004? The Los Angeles Lakers, under the limelight of the city and perhaps the rest of the National Basketball Association, were a drama-filled circus after the conclusion of the three-peat. 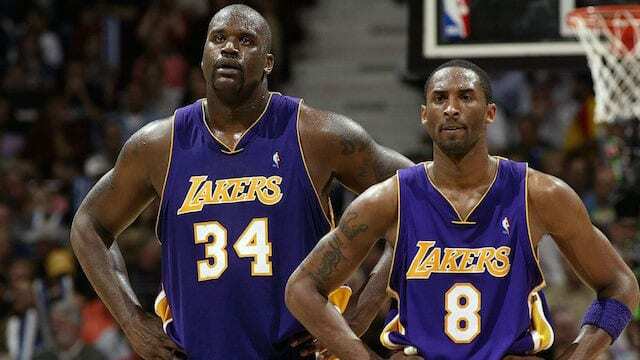 Everything came to a head after the 2004 season when Phil Jackson decided to leave and the Lakers eventually decided to trade away Shaquille O’Neal and keep Kobe Bryant. Things could have been different, however, according to Miami Heat President Pat Riley. As the Lakers were in search of a new coach, they had a conversation with Riley who admitted to being intrigued by the possibility. That is until Riley asked about the status of Shaq and Kobe. Riley pauses, as if conjuring the tension of two decades earlier between O’Neal and Kobe Bryant. “They really didn’t want to talk about it,” he says of the meeting with the since-deceased Lakers owner. “And I said the only way that I could come and coach the team is they give me a chance to put these two back together, to build this relationship and to keep this thing going forward, because I thought with their team, and what they had just accomplished, that they could win more championships together in Los Angeles. 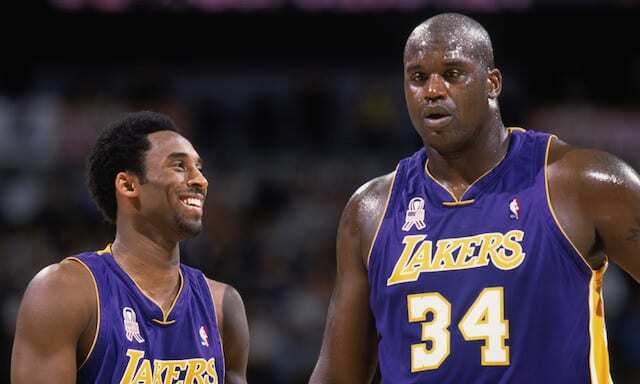 The ever-changing relationship between Bryant and O’Neal was heavily critiqued during their reign together. Although Riley would have provided a trustworthy and proven atmosphere, the relationship between the two players had likely already reached a point of no return. The initial interest between the Lakers and Riley facilitated the eventual trade that sent O’Neal to the Heat and towards his fourth championship. Riley has repeatedly called O’Neal the greatest acquisition in Heat franchise history and is honoring the center by inducting his number into the Heat Hall of Fame this season. The Lakers would also capitalize on the recipients of the trade, which would later aid the Pau Gasol trade and the fourth and fifth titles for Bryant. Although the coaching position would be later given to Rudy Tomjanovich, the possible scenario regarding a Riley-O’Neal-Bryant triangle would have been entertaining to watch.